Press Release: European Parliament Trade Committee has passed a resolution backing the Uzbek Textile Protocol despite widespread forced labour concerns. The European Parliament Committee on International Trade (INTA) passed a resolution backing the Uzbek textiles treaty despite widespread forced labour concerns. The recommendation will now go the plenary for a vote in December. 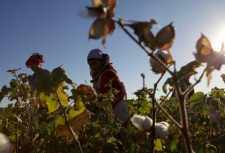 Anti-Slavery International, alongside Human Rights Watch and other organisations from the Cotton Campaign coalition, called for halting the deal amid concerns over continued widespread use of forced labour by the Uzbek government in its cotton production. Every year Uzbekistan, one of the world’s largest producer of cotton, forces millions of people out of their regular jobs and sends them to the cotton fields to toil for weeks in arduous and hazardous conditions, with cases of people dying in fields from extreme heat and accidents. Those who refuse to participate have to pay large sums to buy themselves free and face threats, intimidation and punishment. Activists trying to monitor the situation are routinely harassed and abused by the regime. 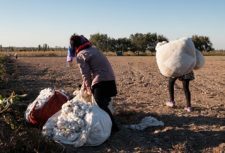 “It’s disappointing that the Trade Committee voted to go ahead with the deal, despite continued state-sponsored forced labour in the Uzbek cotton industry and brutal suppression of activists documenting these abuses. Although Uzbekistan has in recent years responded to pressure and stopped forcing children into the fields en masse, the system of state sponsored forced labour remains intact. 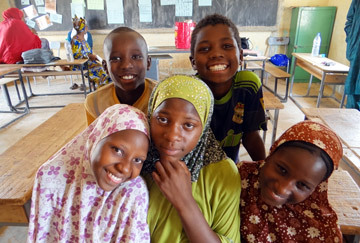 Child labour was replaced by forcible mobilisation of adults on a massive scale, including university students and workers from schools and hospitals. 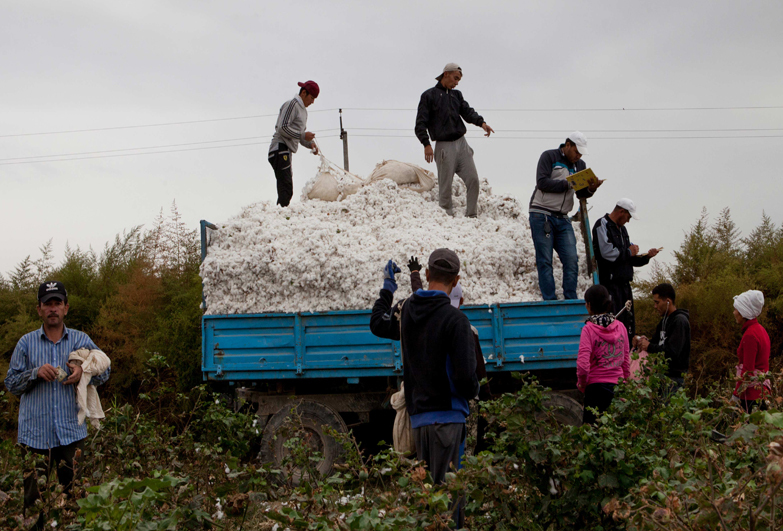 “The ’progress’ we have seen so far in Uzbekistan is mainly on paper and in strategy, by forcing adults rather than children to go to the cotton fields.” Said Klara Skrivankova. “The European Parliament should hold the EU’s trading partners to higher standards than that and we will press MEPs to reject the deal in the plenary vote. The Trade Committee’s vote came amid fresh evidence of abuses from this year’s harvest emerged as Anti-Slavery International released a new documentary evidencing abuses in this year’s harvest. The nine-minute documentary features interviews with cotton pickers and follows activists monitoring the harvest, disproving claims that citizens pick cotton voluntarily. Workers taking part in the harvest talk about the awful conditions in the fields, with many people having to sleep on the floor of school gyms, sometimes with no running water, and having to work for hours in sweltering heat. The interviews also confirm that they go to the fields under a clear threat of being fired from their jobs. The activists interviewed in the video explain the forced labour system and recount the abuses they suffer from the regime for having the courage to campaign against the system, including being locked up in a psychiatric ward, being made to pay large fines, and detention and beatings. 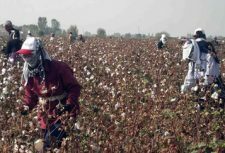 “The documentary will leave the viewer in no doubt over the impact of the cotton crimes on the Uzbek people.” said Klara Skrivankova. The documentary is available on YouTube at https://youtu.be/cZUWZT0pOmc. For more information and to arrange interviews please contact Anti-Slavery International Communications Manager Jakub Sobik on 07789 936 383 or at j.sobik@antislavery.org. More background information on forced labour in Uzbekistan can be also found at www.antislavery.org/cottoncrimes.